This Word was given to Dr. June Reinke, prophetic pastor, evangelist and teacher for the year 2016. She has been the senior pastor of Faith Fellowship Ministries in Florida since 1988. She has ministered in the prophetic to individuals and corporate groups for decades. The year 2016 will be a year of change, transition, new vision, alignment, assignment and harvest. The winds of change have been blowing and stirring and removing things and agitating now for some time. After the storm, after the winds, after the stirring comes the refreshing new. In the beginning of this year, there is a new settling. The dust will settle. The debris cleared away, the clarity will come. The winds will cease. The floods waters will abate and the fog will lift. The atmosphere will be fresh and clean and pure. Many of you will say, “Whew!” I am ready! Ready for the NEW. READY FOR CHANGE. This is the year of change, where old things are passed away, and look, all things become NEW. The Lord will do NEW THINGS! Embrace and celebrate the NEW that He is doing! The old ways will cease and the new will commence. NEW IS NEW. The forms and formulas of the past will not fit into the NEW that the LORD is going in you and through you and around you. I see that it is far beyond a shift, but a jolt. He is catapulting you into the new. Embrace it! Do not fear change, for the past was a time of preparation and a time of being equipped for what is ahead. Step out of the old ways and things that defined you, confined you, and caused you to be obscure and shake off the old ways of thinking and acting and receive the NEW. I hear Him say, come up higher. I am giving you a new perspective. I am giving you NEW VISION. Your narrow vision that boxed you in only confined you in descriptions of yourself and labels that others placed on you. I am removing the labels and the titles and the former demands and expectations that were placed upon you and repositioning you in Me. You do not need the titles and praise of man. You will not seek approval and you will not be a man-pleaser. You will desire to please Me and have MY NAME tattooed on You. No more glory of man, but the glory will come to Me, says the LORD. I Am the LORD OF GLORY and My glory, My glory will be seen on you! I Am expanding your vision from a new vantage point. I Am elevating you and transitioning you to a higher plane so that you can SEE the vastness. Your previous vision was too narrow, too short-sighted, and obscure. I am taking off the blinders, and the blind folds and will wow you with new sight. You could only see the walls and the mountains that were in the way, blocking your ability to see beyond. With your transition, you will see beyond previous obstacles, walls and barriers.The walls are coming down in 2016 and will not be able to be reconstructed. The mountains will be removed. Your vision will be vast and unclouded. This is a year of fine-tuning you and your purpose in Me; a year of clarity. You will SEE clearly what I have called and purposed you to do. You will breathe of the fresh air of My Spirit of LIFE and be refreshed by the NEW! In 2016 I Am restoring life and vitality in you. I Am the LORD that heals you. EMBRACE My healing in your body and soul and spirit and life that will be renewed. I will renew your youthfulness. I will renew your hope. I will renew your strength. I will renew your joy, and I will give you a new life in Me. I will energize you to do the NEW that I have called you to do. I will heal your family and relationships. I will restore life and hope and peace in you. I will heal your broken lives and heal all of the wounds and breathe New life into you. Take a deep breath, for it is life and I will propel you forward this year into your destiny and purpose in Me. 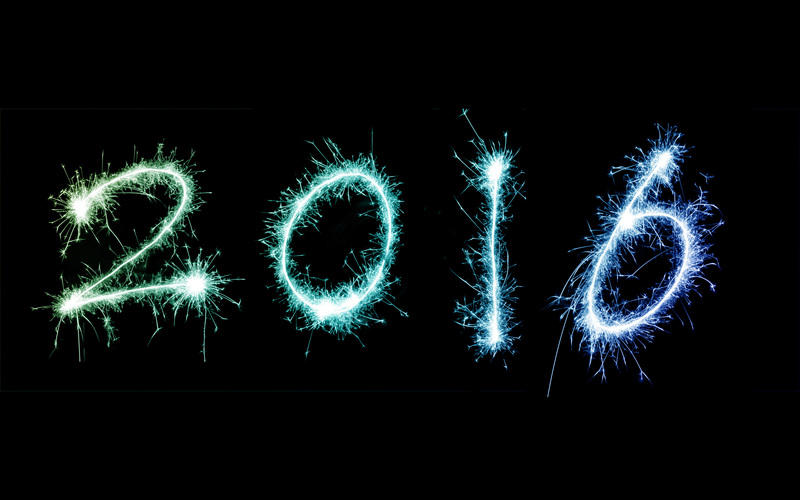 The year 2016 will be a year of alignment. You will be aligned with ME, says the LORD! I will align your vision with Mine so that they will be the same. I will align your heart with Mine, so that there will be no distinction. I will align your thoughts to be MY THOUGHTS as yours are no longer alien with Me. I Am removing the self-will in you this year so that you will embrace MY WILL gladly. Your steps will be aligned with those that I order for you and you will not veer off the path. I Am aligning your vision to be MY VISION. I Am aligning your desires of your heart to be the desires of My heart, says the LORD. They will be congruent and inseparable. For I will align you with My ways that are higher as you ascend in Me to the NEW. YOU WILL BE NEW and the NEW will be what I have purposed and planned and prepared you for and prepared for you. I will align you with people, places and things to bring about the fullness of your purpose and destiny in Me, says the LORD. They will be knit with you and I am sending them. They will be prepared, for I have assigned them, fully equipped them, commissioned them and there will be unity of purpose that I have ordered and ordained, says the LORD. This year you will be separate and holy onto Me, says the LORD. Those who separate from you are not those who I have aligned with you. Others will come that I have aligned and assigned to fulfill My kingdom purpose. This year will be a year of division and multiplication, says the LORD. I will divide so that I can multiply. Remember the loaves and fishes. They were given to me totally into My hands as a sacrifice. This year is a time of total abandonment to Me of all that you are and have, says the LORD. Your life, your gifts, your ministries, your substance and all that you are will be Mine and in My hands. I will bless what is in My hands. I will take the small that you are, the little that you have, and bless it, break and divide it, distribute it, multiply it, and there will not only be increase but a surplus. Many of you will make this total commitment to Me this year and see that I will bring the increase that is miraculous and radical. I will distribute YOU and all that pertains to you, and as I Am El Shaddai, your GOD that is more than enough, there will be surplus. You have said that there is not enough of you to go around. Not so, says the LORD, for I Am the One who will multiply and bring the increase in your effectiveness in Me and I will make it EASY as you cease from your own efforts and walk in Me and do all things through Me by My SPIRIT, says the LORD. New assignments in Me are coming and you will fulfill them in Me. I have prepared you for every good work, and the time of preparation is over. This year you will do the NEW assignments. Be fearless and bold. I have given you the new and your vision will become your assignment. You will not just look at the promised land and the vastness of your inheritance in Me for My kingdom purpose as Moses did, but I will cause you to cross over into the Land and you will war as a fully equipped and mighty warrior and drive out the enemy, tear down the walls, break into pieces the iron chariots of the enemy with the sword of MY SPIRIT, defeat the giants, push back the kingdom of darkness, raise up My blood-stained banner of My Kingdom, and possess the Land. Yes, this is the year of breakthrough, and you will destroy the work of the enemy and defeat the darkness with My light that shall be seen on you! This is a year of harvest. Ask of Me and I will give you the heathen for your inheritance, this year. THIS year you will reap what you have sown in tears. This is the year of harvest that is vast and abundant. You will reap abundantly that which you have sown, for I am fair and the harvest is great. Your harvest will be in your family, your marriage, your land, and beyond. Many will be sent to the nations this year to reap where they have not sown for My kingdom, says the LORD. This is a year that you will see My Kingdom purposes unfold. This is the year of revival, restoration and renewal. Revival fires will start in many pockets through the land and begin to sweep across the land. I am sending a mighty revival in the land in 2016 and I have prepared you for such a time as this, not to observe but to be part of this GREAT MOVE that I HAVE ORDAINED. It will be a revival of righteousness and holiness and light will shine in darkness and the darkness will NOT defeat My light that has come and will be seen on you. I will heal your land. I will revive and restore life and light. Revival will come and sweep across the land, and the nations. I will pour out My Spirit and rain it down upon you and revive and restore and renew this year, says the LORD. I will answer by fire, and the fire of revival will burn throughout the land. I will connect the dots in your life and as the revival increases there will be connection of the wild fires that will not be extinguished, but will burn brighter and brighter and sweep across the nations and the world, says the LORD. Are you ready for the NEW that will be an ever-present perfect tense of change, revival, restoration, light and life? This is the year.